If you’re worried about ageing and the appearance of fine lines and wrinkles, you’re not alone. A busy lifestyle, sun, and other factors all take their toll on our skin, and getting older doesn’t help. With NIVEA’s Q10 anti-ageing products, you can help reduce the signs of ageing. Coenzyme Q10, or just Q10, is naturally produced in the body and makes an important contribution to the function of all the body’s cells, especially those of the liver, heart and skin. Similar to a vitamin, Q10 is present in the whole body and can support different processes, but its main function is to do with cellular energy production in the mitochondria. It also acts as an antioxidant to ward off free radicals both inside and outside the cells, which accelerate skin ageing and damage the cells. Q10 is contained in many foods: for example, foods such as meat (beef, poultry), sea fish (especially in sardines), eggs, vegetable oil, nuts, almonds, soya, potatoes, green vegetables such as spinach and broccoli, and pulses, are especially rich in Q10. Our skin ages differently and a lot of external factors influence this. It can depend on genetics, our lifestyle and the amount of sun we’re exposed to. There are different ways to try to stop our skin from ageing, whether it’s through lifestyle changes or using specific products, but NIVEA’s Q10 products can give us that bit of extra care. The skin’s own coenzyme Q10 is essential for generating energy. Q10 is a necessary component in the production of cellular energy from nutrients within the body. This cellular energy is what the body uses to carry out its processes. Q10 also protects the skin from oxidative stress but unfortunately, the proportion of Q10 in our skin reduces over the years. This is when wrinkles can appear. That’s why anti-ageing products that contain Q10 can help to reduce signs of ageing in our skin. Try Nivea’s 4 in 1 Firming Body Oil to visibly reduce the appearance of stretch marks and uneven skin tone. The Firming Body Oil also contains avocado oil, cottonseed oil and macadamia oil, all of which helps to deeply nourish your skin. 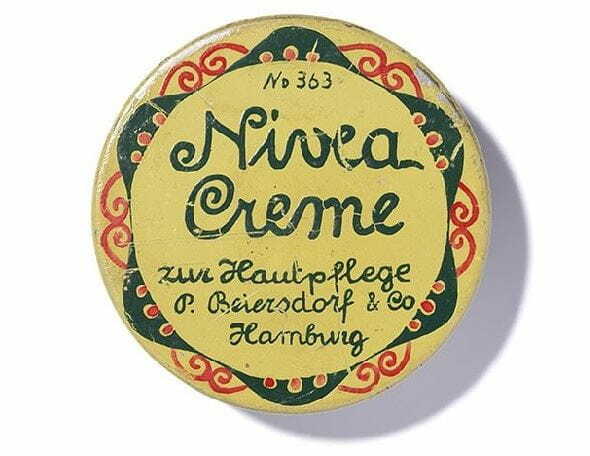 All NIVEA products are the result of a combination of a highly developed innovation culture and over a century of Beiersdorf’s competence in skin research. The NIVEA research team has been hot on the trail of the effects of Q10 for almost a quarter of a century. Our scientists have been intensively examining the role of the coenzyme Q10 in human skin and have been integrating it into skin care products since as far back as 1998. To this day, Q10 products are in demand around the world. NIVEA researchers were the first to integrate Q10 as an ingredient in skin care products for the mass market. The Q10 used in NIVEA products is identical in structure to that which naturally exists in the body. NIVEA has a range of anti-wrinkle products that contain Q10, which will help to reduce the signs of ageing all over your body. Read more about specially formulated products for specific areas of the body. While anti-ageing products are usually applied overnight, it’s important to protect your skin throughout the day too, as that it is when it’s most exposed. Using Q10 Plus Anti-Wrinkle Day Face Cream will work well on normal skin, but if you have oily skin and want to avoid clogging your pores, the Q10 Plus Anti-Wrinkle Light Day Face Cream would be a better option. The Q10 Plus Anti-Wrinkle Energising Day Cream is a new product, specially formulated to give your skin and extra boost to keep it looking its best. Your hands are often one of the first areas of your body to show signs of ageing, but it can be stopped with the right products and care. The Q10 Plus Anti-Age Hand Cream is specially made to stop signs of ageing for your hands and to keep them looking firm and young for longer. The skin on your body has just as much chance of showing signs of ageing as the skin on your hands and face. NIVEA’s Q10 Plus Body Care Range targets specific areas, and helps to firm and sculpt areas on your body. The coenzyme Q10 produces the body’s natural “fuel” and is essential for energy production at a cellular level. The skin requires L-carnitine to produce metabolic energy. It transports the lipids to the cells’ powerhouse, known as mitochondria, where they are transformed into energy. Creatine, on the other hand, works like a battery, storing and emitting the generated energy in the cells.